Heads up candy fans! Get ready for fall with bags of candy for $1.33. Check last week’s Retail Me Not insert for a $2/3 Mars coupon to pair with ECBs. 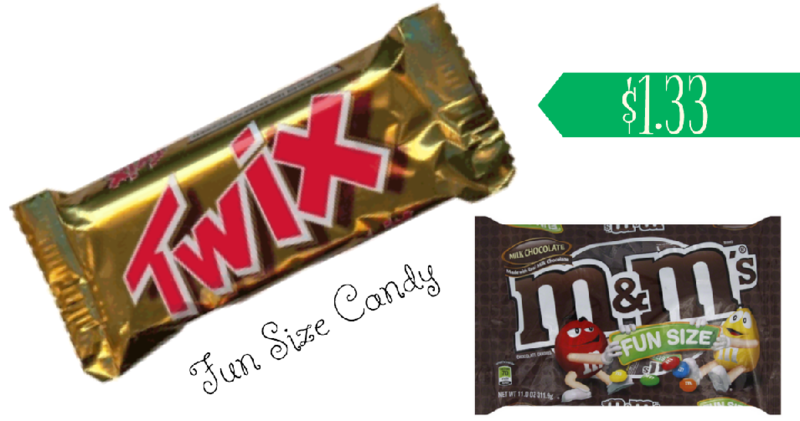 This makes a bag of fun size candy less than $2.